Are you looking for rental apartments in Katy Texas near Houston? Well, you've reached the right place: our extensive apartment locator. We are one of the pioneers of apartment locator services for the Houston Katy area. With an experience of around a quarter of a century, we've been successful in providing rental apartments to thousands of satisfied customers looking for Katy apartment rentals. Katy is one of the most beautiful cities in Texas. 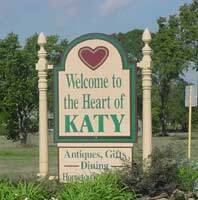 The city of Katy is said to be one of the most desirable cities to live in. If you are considering moving here, we encourage you to use our free services for locating apartments. Our apartment locator will provide you cost free but very detailed apartment and condo rental listings. If you need any kind of information regarding the city of Katy, the living standards, the safe neighborhood, school districts or any other matter related apartment rental, condo leases or any other accommodation information we are at your service. If you are looking for apartments for elderly people, apartments that are pet friendly, or any other low budget or furnished apartments in Katy, we are right there at your service. We have professional staff working just for you. We guide you through the entire process of locating apartments in Katy and providing free transportation service during the search process if you require. We are here to help you identify, locate, and chose an apartment to your liking. If you are looking to relocate in Katy Houston, you have come to the right apartment locator site, which combines the convenience of the web to give you detailed listings of available apartment and condo rentals with a personal touch. Whether you're moving from across the city or around the world, we can find you an apartment to rent in Katy with none of the hassle and IT'S FREE. To find out more about our free apartment finding service, please click here.